The phrase “man’s best friend,” is not simply an empty platitude. Dogs have been recognized as one of the first domestic animals and actually domesticated themselves to us. As such, they are often exceptional additions to survival scenarios. No matter how much we prepare, there will always be certain tasks that, as humans, we are not the best for. 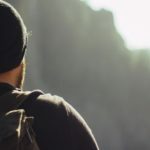 Our senses are relatively weak in the natural world, and even the most physically fit are evolutionarily designed for endurance over bursts. In this instance, dogs can not only serve as loved family members but help provide survival skills that humans biologically lack. However, the selective breedings of dogs have taken what was likely once a general animal and narrowed it into various niches. 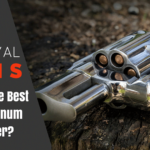 In this article, we delve into which are the best dog breeds for survival for those preppers who want more than a mascot but a valuable companion during dire times. When choosing a dog for survival a number of qualities will be important, but there are a few categories that are arguably the most important: protection, sporting, workability. Unfortunately, few dogs are able to meet all of these standards. As such, it might not be a bad idea to actually have two survival dogs to cover all bases–depending on your needs. Arguably the two most important features of those three are protection and sporting. The former is fairly obvious in that the dog will serve as a deterrent for other people and as the first line of defense against wild predators. 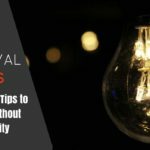 The latter will generally make obtaining food much easier and can even help supplement should trapping, fishing, or hunting fail. One thing to keep in mind about those three qualities is that protective dogs who have herding instincts are often more difficult to train as hunting dogs. In this case, that often means that you will not find a breed which is known for doing both unless that breed is also a big game hunter. 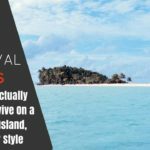 Another quality to look for in a survival dog is the breed’s overall health. Because traditional veterinary practice will likely be suspended–if not disappear altogether should the disaster prove catastrophic–the dog is liable to have to survive on your good care and its genetics alone. As such, generally healthy breeds are often preferred in case their assistance is necessary for months or longer. Whether bred to be guard dogs or not, the level to which a survival dog engages with others is also important–including with other dogs and with children. However, it is often a fine line between a dog that can guard or hunt and one that can also play well with others. Of course, that can often be determined by its upbringing, which leads us to another major factor when selecting a survival dog: trainability. Keep in mind, there are many aspects that are involved in a dog’s trainability but the two most important are the animal’s intelligence and its will. Unfortunately, the more intelligent a dog is, generally the more willful it is as well. This means that the breeds which can ultimately be trained the best will also be the most difficult to train. In terms of overall utility, few dogs can take the place of the Rottweiler. 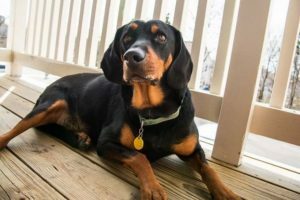 While most people are already well-aware of this breed’s fearsome reputation as a guard dog, many may not actually be aware of its historic roots and the versatility that it provides as a survival dog. Having been used as a working dog since the Roman Empire, Rottweilers are both incredibly hearty as well as intelligent. While this obviously makes them well-suited for protection purposes, it also makes them apt with bearing weight. This fact can pay off dividends when bugging out as the Rottweiler will be able to carry its own gear. However, that load-bearing quality is not strictly limited to the journey. Rottweilers were once used as cart pulling animals in urban areas. While asinine and equine animals eventually replaced them, the Rottweiler is still more than capable of being trained to pull a cart like its forebears once did. This can be translated in a couple ways. First, so long as you keep the Rottweiler under control, it could feasibly pull a carriage with small children in it. Still, the main draw of this unique trait is that a Rottweiler could potentially be trained to help plow a field should you decide to homestead. 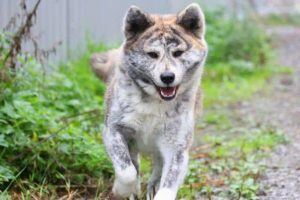 A Japanese dog that was bred primarily for guarding people and livestock, few animals excel in this regard quite as well as an Akita. While there are a wide variety of dogs that can perform guard duties at this breed’s level, few are so naturally inclined to do so. In fact, it is such an inbred trait of the Akita that you likely should not actually give it specialized guard training as it can make them a bit too aggressive. Still, when seeking a guard dog, the Akita demonstrates a number of traits that make it ideal for this purpose. For one, this is a large and intimidating dog that is certain to force malcontents and predators to think twice about messing with your party. Moreover, the Akita is fearless in the face of danger, and will not back down even to a clearly superior foe. However, it is when defending against people that the Akita truly shines. With a naturally protective nature towards its family and an equally wary disposition towards strangers, Akitas are always prepared to defend their pack against a looter. Moreover, they can demonstrate an especially nasty disposition in this scenario, amplifying their natural fear factor by scores. This is the first breed we will take a look at that breaks from the naturally protective mold. While the BTC Hound can certainly be imposing, its natural disposition is not one that readily lends itself to intimidation. Rather than placing itself squarely between an attacker and its family, snarling and gnashing its teeth, the BTC Hound is liable to see a stranger as a potential friend–though they will show some initial reservation. Still, when it comes to a guard dog, you ideally want a breed that shows suspicion first and eventually becomes reserved well before becoming comfortable. BTC Hounds are simply not that nasty in disposition. That being said, their true strength lies in their versatility as a sporting dog for all types of prey and all types of seasons. While many sporting dogs have been bred for specific regions and niche prey, the BTC Hound has been used to hunt everywhere from the Appalachian mountains to the swamps and bayous of the South US. Moreover, while they started as hunters of raccoons, this breed has been adapted to hunt large game–including predators. This is arguably the breed that would otherwise be a Labrador Retriever, except its game versatility and slightly more reserved disposition make it a better fit in a survival situation. This breed could easily be interchanged with the German Shepherd Dog, and many may prefer that breed to this one. The GSD is definitely larger than the Malinois, but the Malinois has something that will serve survival better than the GSD: disposition. While both dogs can easily be trained for guarding duties, the Malinois is more similar to the Akita when defending its family, attacking with an unsettling viciousness that may disturb even you. Beyond its abilities as a top line guard dog, the Malinois is one of the more intelligent breeds available that is also a bit less willful. 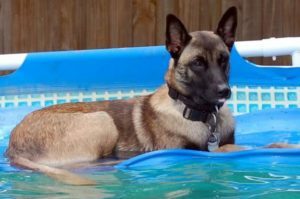 This is important because it makes training the Malinois easier than some of the other breeds on our list and will also make commanding the Malinois in high-tension scenarios more effective–unlike other breeds that are liable to ignore your commands in the heat of the moment. This breed is noted for its good health and can work suitably in both hot or cold weather climes. Moreover, Malinois are one of the few breeds of guard dogs that are also good with children–though most of the other breeds simply get too excited and accidentally knock kids over rather than actually pose a serious threat. While the Akita may be somewhat similar in a number of ways to the Malamute, there are arguably few breeds of dogs better for surviving extreme cold weather climates than the Malamute. Much like a GSD could arguably sub for the Malinois, the Siberian Husky could potentially do the same for the Malamute. However, the Malamute has a few qualities that make it more suited for a survival scenario. For one, the Malamute is a larger, more imposing breed than the husky. 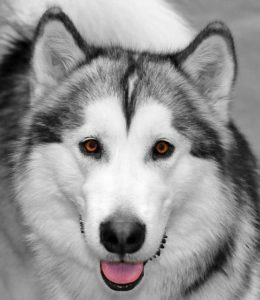 While neither breed are truly known for their guarding pedigree, the Malamute is also a bit more reserved when engaging with strangers. Still, both are liable to view newcomers with excitement rather than caution. That being said, the Malamute was originally bred to serve as an all-around work dog. While their ability to pull a sled is fairly well-known, they can also carry their own packs–and are far more willing to do so than a Husky might. Another benefit of the Malamute is that they were bred to engage with arctic wildlife. Essentially, they can be trained to hunt seal or other large prey as well as defend you from bears and other large predators. Of course, their thick coats will also provide some much-needed warmth in potential subzero temperatures. The Rhodesian Ridgeback is arguably as versatile as the Rottweiler, though it does not have the same imposing frame. That said, it would be unwise to underestimate this breed just because it is a medium-sized dog. Keep in mind, the Rhodesian Ridgeback was originally bred to assist with hunting lions–yes, that is right, lions. However, this breeds lends itself to far more than guarding, though in this regard it is a superb animal. 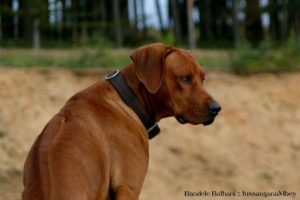 This is in large part because shortly after being employed as a lion hunter, the Rhodesian Ridgeback was cross-trained to also protect the herds of South African ranchers. As such, this breed is one of the few that can pretty much do everything. 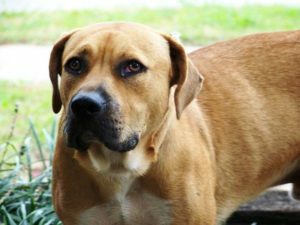 Moreover, its medium size does not at all affect its courage, as the Rhodesian Ridgeback is noted for being one of the most fearless breeds available. Still, hunting lions–or even bears–is unlikely to be a common occurrence which is why it is extremely convenient that this breed is also well suited for hunting small game. However, unlike other sporting breeds, the Rhodesian Ridgeback is not truly a scenter. As such, it is far liable to flush out game than it is to find it. This is another breed that is somewhat similar to the BTC Hound in terms of its application. However, with the BMC, you are trading some of its overall hunting ability for a larger dog that will be better at hunting larger game. Moreover, the robust constitution of the BMC lends itself exceptionally well to survival in the wild where you may have to track game for a full day or longer. While the BTC Hound can do this as well, the BMC is eager to so. However, it should be noted that the BTC Hound is a far better scenter that the BMC. Still, the cur is far more in line with the Rhodesian Ridgeback in terms of energy–though few dogs can truly compete with that breed. Still, both the hound and the cur have some of the same limitations as well. For one, neither of them are ideal guard dogs. The hound may be a bit more naturally predisposed to guarding in temperaments, but the cur is easily better suited for the task. Thankfully, they would actually make a great one-two punch combo and cover most of the bases without getting into too many squabbles with one another. 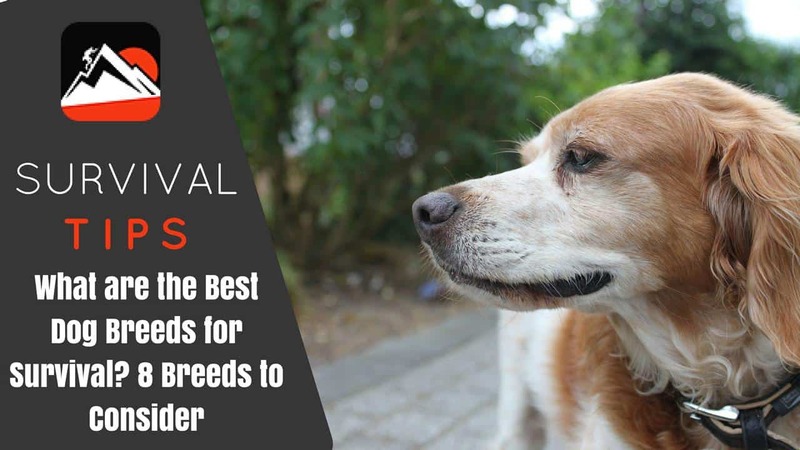 The last dog breed on our list for survival is potentially the best for this specific scenario. 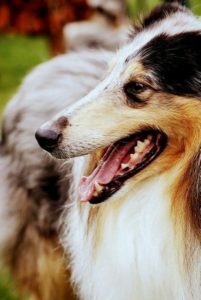 While most Collies are far too specialized in their breeding to truly be appropriate as survival dogs, the Scotch Collie is unique in that it was bred specifically to accomplish as many tasks as a family living in the wilds might require. Hailing from the highlands of Scotland, this breed is a triple threat: hunter, herder, and guarder. In fact, the only thing this dog cannot do is bear a load. This is in a large part because the Scotch Collie is a medium-sized dog. However, like the other medium sized dogs on our list, that does not prevent the Scotch Collie from performing effectively as a guard dog. While it may not be as imposing and does not carry the same degree of potential viciousness as some other guard dogs, the Scotch Collie is intensely loyal and completely fearless in the face of larger foes. However, its true value lies in being equally good at herding and hunting. In terms of hunting, the Scotch Collie is definitely more of a flusher, though it can actually catch small game on its own as well. With its herding instincts, the Scotch Collie will also serve as an excellent watchdog–even better given that it is otherwise a quiet dog and will not unnecessarily give away your position. There are very few dogs which can do it all, but the Scotch Collie might be one of the few who can. With its ability to serve as a guard, sporting, and herding dog, it can cover nearly every expectation you might have for it–except carrying its own gear of course. Though, a Rhodesian Ridgeback would also fit this bill, but it is not for everyone. However, if you expect to be homesteading for any extended period of time, a Rottweiler might be the best option. While they are better at guarding and herding than they are hunting, they still technically have that in their blood. 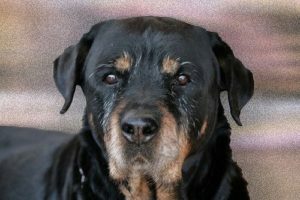 Moreover, a Rottweiler is one of the few dog breeds that have the ability–and temperament–to serve as draft animals, allowing them to potentially serve well in fields too.